The term electromagnetic pulse (sometimes abbreviated EMP) is a burst of electromagnetic radiation that results from an explosion (usually from the detonation of a nuclear weapon) and/or a suddenly fluctuating magnetic field. The resulting rapidly changing electric fields or magnetic fields may couple with electrical/electronic systems to produce damaging current and voltage surges. In military terminology, a nuclear bomb detonated hundreds of kilometers above the Earth’s surface is known as a high-altitude electromagnetic pulse (HEMP) device. Nuclear electromagnetic pulse has three distinct time components that result from different physical phenomena. Effects of a HEMP device depend on a very large number of factors, including the altitude of the detonation, energy yield, gamma ray output, interactions with the Earth’s magnetic field, and electromagnetic shielding of targets. Report of the Commission to Assess the Threat to the United States from Electromagnetic Pulse (EMP) Attack: Critical National Infrastructures [208 Pages, 7 MB] – This report presents the Commission’s assessment of the effects of a high altitude electromagnetic pulse (EMP) attack on our critical national infrastructures. An earlier report, Report of the Commission to Assess the Threat to the United States from Electromagnetic Pulse (EMP), Volume 1: Executive Report (2004), provided an overview. 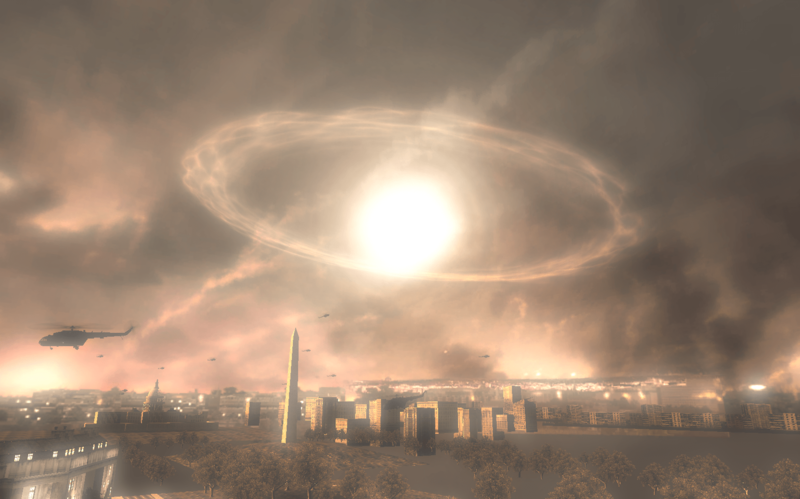 When a nuclear explosion occurs at high altitude, the EMP signal it produces will cover a wide geographic region within the line of sight of the detonation. Because of the dependence of U.S. society on the electrical power system, its vulnerability to an EMP attack, coupled with the EMP’s particular damage mechanisms, creates the possibility of long-term, catastrophic consequences. The consequences of an EMP event should be prepared for and protected against to the extent reasonably possible. Cold War-style deterrence is not likely to be an effective threat against potential protagonists that are either failing states or trans-national groups. Therefore, making preparations to manage the effects of an EMP attack is critical to reducing the consequences, and thus probability, of attack. The appropriate national-level approach should balance prevention, protection, and recovery. This volume focuses on a description of the potential vulnerabilities of our critical national infrastructures; the chapters in this document deal individually with the EMP threat to each critical infrastructure separately. It is also important to understand that not only mutual interdependence may be enabled by technology advances, but also technologies that have facilitated this growing interdependence may be common across the many individual infrastructures. In particular, the Commission thought it important to single out the growth and common infrastructural infiltration of one particular transformative technology, the development of automated monitoring and control systems known as Supervisory Control and Data Acquisition (SCADA) systems.